In early July, Ali Nightingale, Megan Thomson and Lachlan Grimwade headed off for the (much warmer) waters of Brisbane to compete in the Queensland Youth Week Regatta in the Laser Radial. 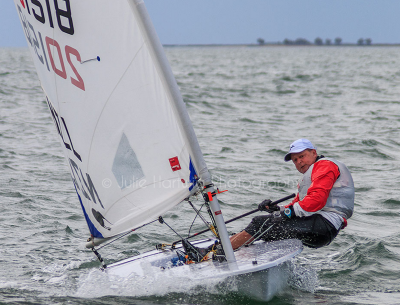 The competition was the final of 3 regattas in the Australian qualifying series, drawing the most competitive youth sailors from across Australia making up the 47 boat fleet. Despite challenging and often light conditions, Ali finished up as 6th women and 19th overall, Megan as 13th women making 39th overall while Lachlan finished up 15th overall. We see Lachy also competed in the 4.7 for the Sail Brisbane. Getting 2nd overall in the 16 boat fleet. Another relatively short three week stint overseas and back is now complete. This time with the main event being the first European ISAF Sailing World Cup event of 2015, held in Hyeres, France. It was the debut event in which a new format has been adopted by ISAF, where only the top 40 Laser sailors in the world could compete. This made for extremely tight racing from day one with no 'warm-up' qualifying series like in the past. I've written a quick blog update on the trip and how the regatta unfolded. Click the link below to have a read on my thoughts from the few weeks away, and what's coming up next... Enjoy!